BAIC BJEV, the electric vehicle affiliate of BAIC, signed a strategic cooperation agreement with Huawei Technologies Co. Ltd., a Chinese multinational networking and telecommunications equipment and services company, in Kunming, China. Jan 28, 2019/EqualOcean/- BAIC BJEV (Beijing Electric Vehicle Co. Ltd. 北汽新能源), the electric vehicle affiliate of BAIC, signed a strategic cooperation agreement with Huawei Technologies Co. Ltd. (华为), a Chinese multinational networking and telecommunications equipment and services company, in Kunming, China. They jointly set up 1873 Davidson Innovation Laboratory to conduct research and cooperation in such fields as cloud computing, IoV (Internet of Vehicle), energy internet, big data, industrial IoT (Internet of Vehicle) and information security, to combine ICT (Information and Communications Technology) with intelligence connected vehicles and discuss about partnerships of users, ecosystem and supply chain convergence. It's the third time that the two companies inked an agreement. They reached the first agreement on such fields as cloud computing, vehicle internet and energy internet in September 2017, and deepened the partnership to build the next-generation intelligent-connected EVs together on Nov 2018. Founded in 1987, as the global leading ICT company, the tech giant Huawei also works with Dongfeng Motor, Audi, Chang’an Auto by offering intelligent technologies and solutions including the development of connected car technology, international business development, information technology and other areas of innovation. Chang’an Auto, China Mobile Chongqing Company, China Mobile IoT Company and Huawei to jointly develop LTE-V and 5G Internet of Vehicles on Jan 11, 2018. Management Regulation for Corporate Average Fuel Consumption (CAFC) and New-Energy Vehicle Credits takes effect in 2019. All manufacturers from domestic players BAIC and BYD to global players Toyota will have to obey this regulation. They must fulfill a sizable portion of NEVs (plug-in hybrids, pure-battery electrics, and fuel-cell autos) production or imports, which will escalate gradually in the next couple of years (see more in this article). The combination of EV and IoV shapes the future auto industry. It is inevitable for these manufacturers to develop IoV related technology, but what is Huawei's strategy? Huawei has developed R75020G2 Charger, an efficient AC-DC charger that features high power density also an important infrastructure in EV industry. 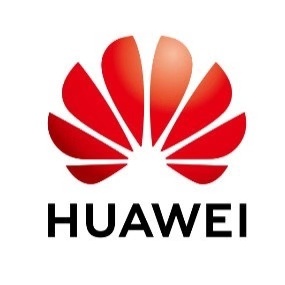 Huawei has revealed some details about its upcoming Mobile Data Centre computer aimed at providing AI capabilities to vehicles— the MDC 600 which is rated according to the Automotive Safety Integrity Level (ASIL) and has achieved the highest possible classification against injury risk defined in ISO 26262 — ASIL D in Oct 2018. 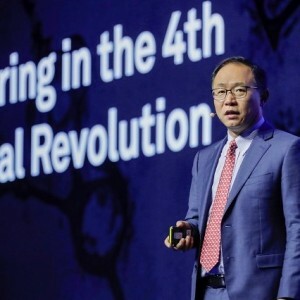 Huawei is cautious moving into an emerging market like NEV, even the company has been developing its original Motor Control Unit (MCU) and Mobile Data Centre computer mentioned above, it seems that Huawei positions itself not as an automaker but such supplier in auto industry as Tier 1 auto parts supplier Autoliv, Bosch, Continental, Delphi Automotive (also known as ABCD together), people familiar with this matter told EV Observer at D1EV. REN Zhengfei(任正非), the founder of Huawei, indicated that Huawei adheres to Chicken Rib Strategy to research on something different from competitors and useless at present but potential in future, as chicken rib is edible, but meatless, in the book called The Huawei Story.